Ashmore House Bed and Breakfast is the perfect base for fishing in Tipperary. 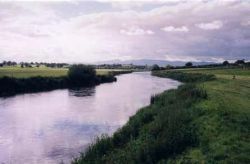 The River Suir is regarded as one of Ireland's finest brown trout fisheries. The characteristics of the Suir make it ideal for the production of brown trout and the conditions are just right for their survival and growth in what is a near-perfect environment. Very few rivers can equal it in terms of the overall numbers of trout that it produces and that are available to the angler. The average size of the trout ranges from ¾ to 2 lb in different areas, depending on the habitat. Their lifespan is relatively short and few trout exceed 4 years of age. It is the second longest river in Ireland being 115 miles long. Together with its tributaries it drains a total catchment area of 1,394 square miles. It is a wide river ranging from 25 - 35 metres in its middle sections. To fish this river body waders are practically essential. The river has a fine gravel bed, which gives a solid base underfoot. 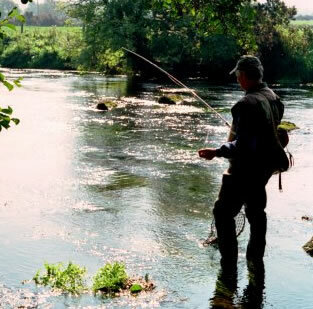 This is a big river with a strong current and anglers should take due care when wading.